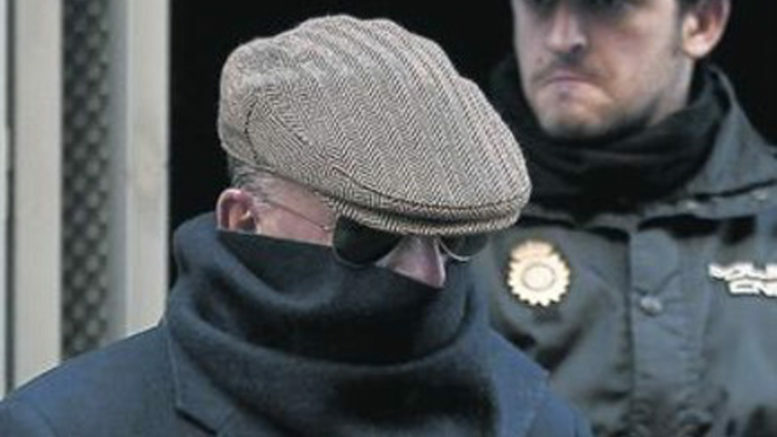 The Madrid provincial public prosecutor’s office has recommended a local circuit court judge drop proceedings against accused Franco-era torturer Antonio González Pacheco, alias Billy el Niño (“Billy the Kid”), and two fellow ex-members of the much-feared Franquista Social-Political Brigade police unit, saying charges against them do not rise to the level of crimes against humanity, but only include crimes of torture and illegal detention. Torture and illegal detentions carried out by police during the Franco regime, say the prosecutors, remain exempt from prosecution under the terms of the Amnesty Law agreed in 1977 by all political parties as part of Spain’s transition to democracy. Judge Tomás Martín Gil must now decide whether or not to drop the charges against González Pacheco, who was known by his victims as “Billy the Kid” because he was in the habit of spinning his police revolver on his trigger finger. If the judge rules in the defendant’s favor, it will mark the second time that Billy el Niño will have escaped prosecution in Spain on torture charges. In 2015, the prosecutor’s office of Spain’s national Audiencia Nacional high court refused on similar grounds to extradite González Pacheco to Argentina, where judge Maria Servini hoped to try 19 Franco-era officials on human rights charges for which the Spanish government will not try them. In July 2017, judge Martín Gil opened “indeterminate proceedings” after a complaint was filed alleging torture at the hands of González Pacheco in the final years of the Franco regime. The judge added two similar complaints to the first, bringing a total of three complaints against González Pacheco and two other inspectors of the Franco police unit for “systematic torture”. The public prosecutors, however, say the 1977 Amnesty Law proscribes prosecution of the alleged crimes. The judge must now rule whether or not to drop the proceedings or accept the plaintiffs argument that the alleged crimes committed by González Pacheco and the other two defendants amount to crimes against humanity in relation to the crime of torture, which according to international law cannot be proscribed by Spanish legislation.